Ryan Lochte’s robbery story keeps getting more awkward. 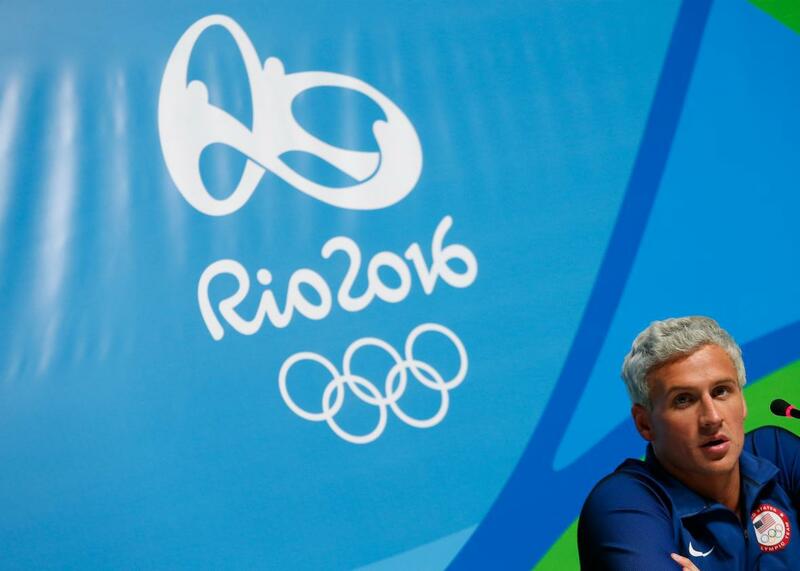 Ryan Lochte of the United States attends a press conference in the main press center on Friday in Rio de Janeiro. Brazilian authorities began raising doubts on Wednesday over the alleged robbery of Ryan Lochte and three other U.S. swimmers—a saga that got more awkward Wednesday evening when Lochte spoke to NBC’s Matt Lauer in an attempt to set the record straight, adjusting a few of the details of his original account. Even more awkward than that: Earlier in the day, a Brazilian judge ordered Lochte and teammate Jimmy Feigen to stay in the country while police investigated the robbery claim. And tonight, Brazilian police delayed a U.S.-bound flight in order to stop the other two swimmers, Jack Conger and Gunnar Bentz, from leaving the country. “We can confirm that Jack Conger and Gunnar Bentz were removed from their flight to the United States by Brazilian authorities,” said Patrick Sandusky, a U.S. Olymic Committee spokesman, according to Reuters. Lochte also clarified why he didn’t immediately report the incident to the police, telling Lauer that he thought he and the other swimmers had broken some rule by being out drinking until the wee hours of the morning. Lauer recounted that Lochte said his account to the police was “casual, friendly, and vague,” and that the police never expressed suspicion about his story. Lauer also said he asked Lochte if the robbery story was a cover for some sort of embarrassing behavior. Lauer said Lochte dismissed the idea immediately, saying he wouldn’t make up a story like that.